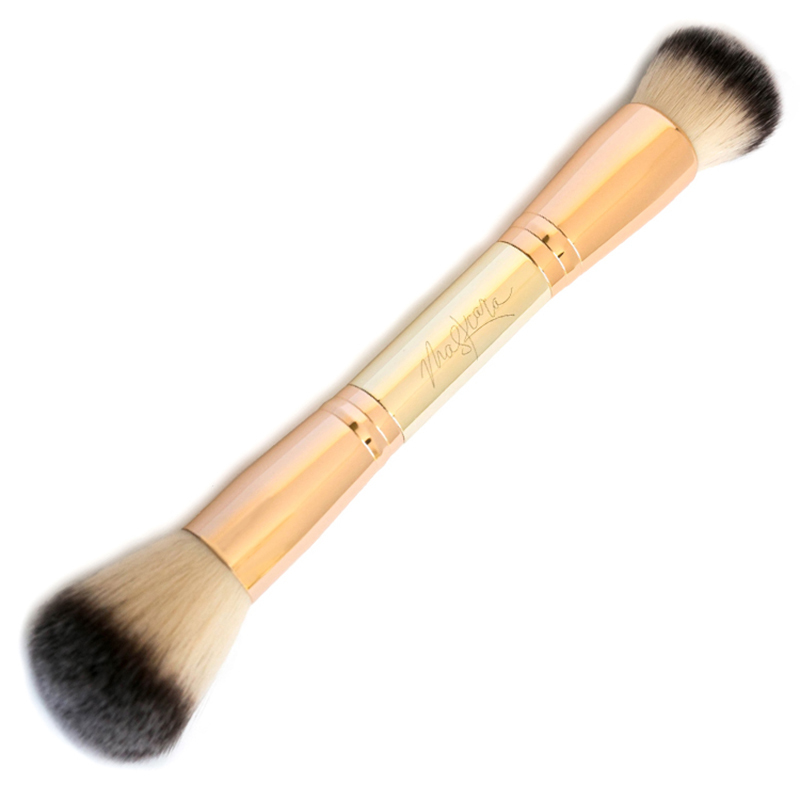 The B Squared Brush is customized specifically for applying blush and bronzer. What it is: The B Squared Brush is customized specifically for applying blush and bronzer. How you use it: Use the smaller, domed side to apply blush right into the apples of your cheeks and blend. Use the larger, fluffy side for applying a bronzer or setting powder.